Spinning Blackbirds is simply a place to practice writing on a DAILY basis. This is the challenge I’ve set for myself. 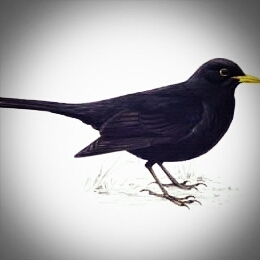 In metaphysical realms the blackbird represents the unveiling of inner depths, bringing into the light that which is in the subconscious. They also represent transition and transformation. These thoughts are constantly spinning in my head – whether sparked by observations, experience or simply what-ifs. Dont take everything I write as a reflection of my life. Sometimes I’m inspired by the actions or stories of others, and I will try to use their voice instead of my own prattling, whingey one. And in the meantime, by writing, I might just figure things out (what things only time will tell). Good luck with your challenge!! A DAILY basis can be difficult in our world full of traps to waste time. SpinningBlackbirds, I ask you a question in my post today – a direct question. I would appreciate it much if you had a moment to respond. I’d be very grateful. Sincerely, N’n. Hi N, I couldn’t find any question to answer – I must have missed something?